Sarah Keyworth has been awarded a Herald Angel Award for her debut show Dark Horse which is playing at the Pleasance as part of the Edinburgh Fringe 2018. The Herald Angel Awards have been part of the Edimburgh Festival Scene since their inception in 1996, celebrating and rewarding the diverse range of talent from the various festivals including the Edinburgh International Festival, the Edinburgh Festival Fringe, the Jazz and Blues Festival and the Edinburgh International Book Festival. Keyworth’s show Dark Horse is a semi-autobiographical tale about discovering her own sexual identity and gender identity. The show explores how young girls are raised and the expectations placed on them. This refreshingly insightful journey about expectations, gender and self-acceptance amkesher debut hour one of the most thought-provoking and entertaining at the Fringe. Sarah Keyworth says “I’m so proud and excited to have written a show about something I truly care about and it’s such a joy to have won a Herald Angeld Angel for that”. Sarah’s deadpan wit has got her far on the comedy scene. 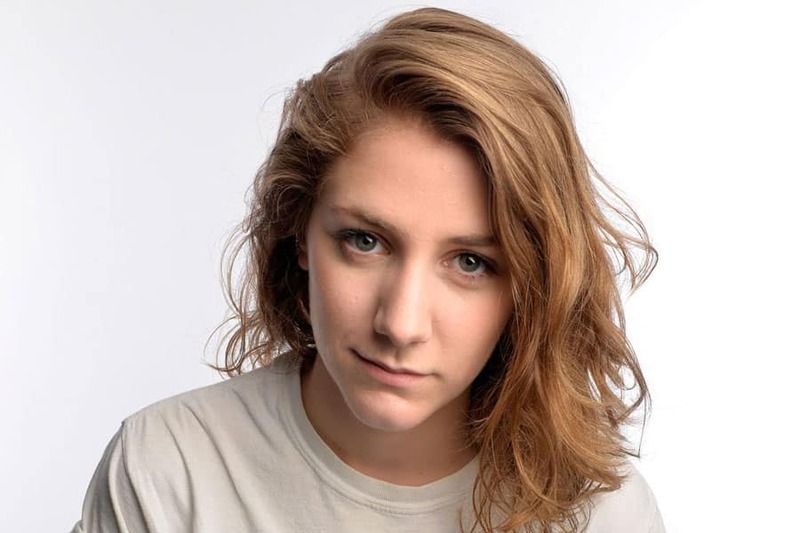 After being a semi-finalist in both the Laughing Horse New Act of the Year and Amused Moose Laugh Off, a finalist in the Comedy Knights Fresh Comedian of the Year awards, first runner-up at the Funny Women Awards in 2015 and appearing in the BBC New Comedy Awards, Sarah has gone on to be the tour support for Kerry Godliman, Dane Baptiste, Tez Ilyas and Stewart Francis. She was also chosen to be a part of the CKP’s Lunchtime Special, showcasing some of the best upcoming comedians on the circuit. Sarah has also recorded The Big Questions and A Pie and a Pint for Comedy Central and can be heard on the new Helen Lederer BBC podcast Knock Knock. Sarah Keyworth: Dark Horse performs at Bunker Two, Pleasance Courtyard until Sunday 26 August at 17:30.